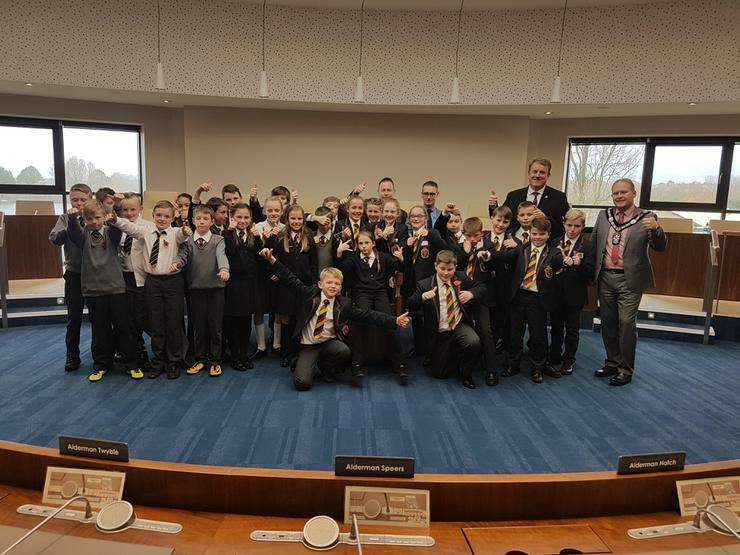 Cross Country, Football and Cricket Teams had their achievements recognised by Lord Mayor Wilson at a reception held in the Civic Centre on Friday. 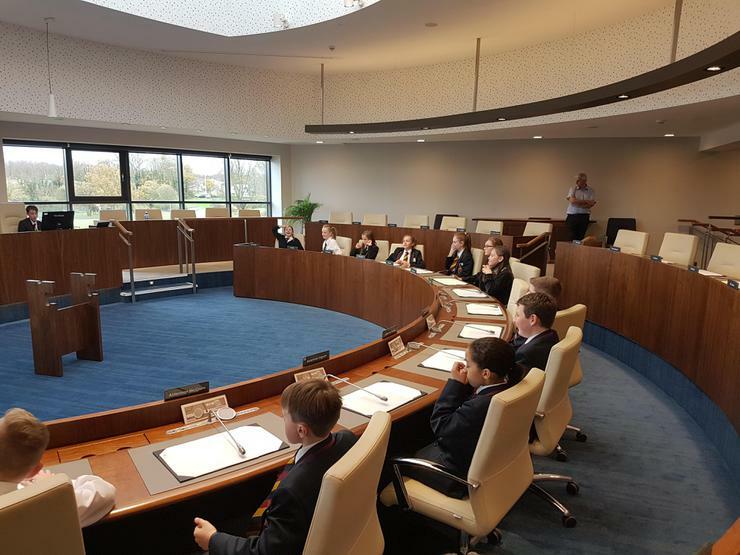 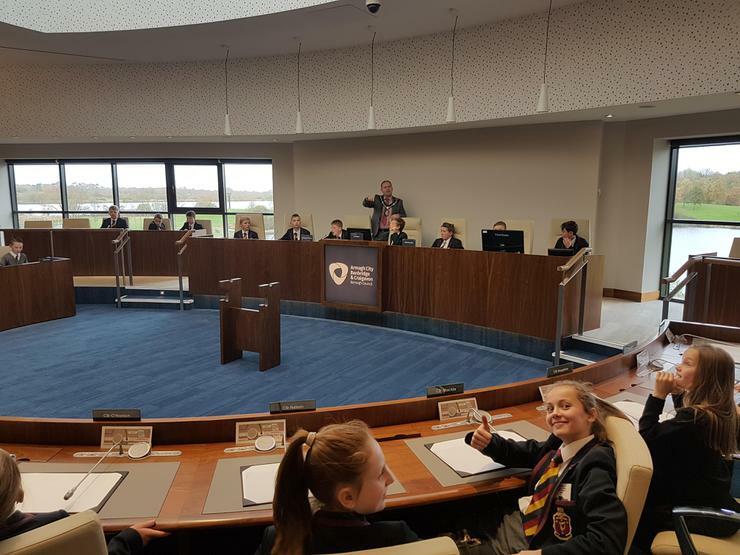 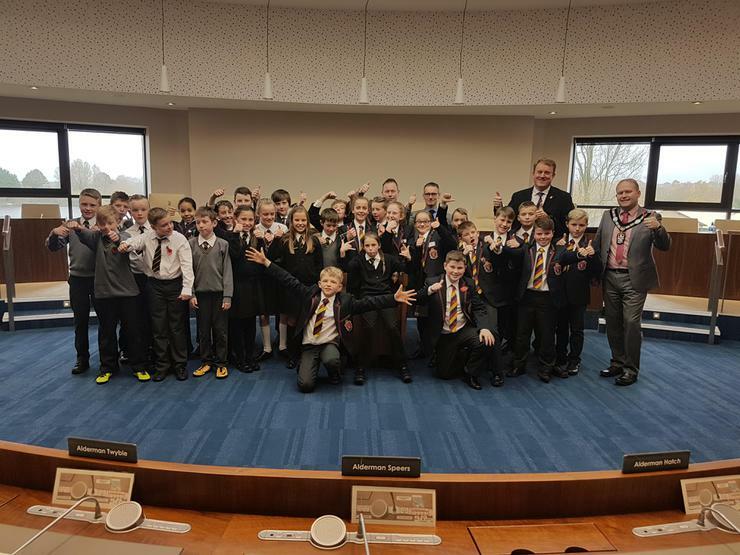 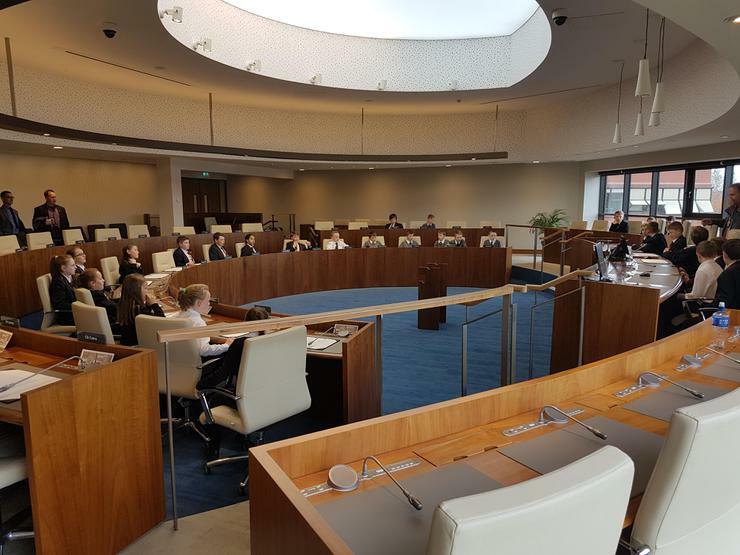 The children also took the opportunity to set about some Council business while they were there and The Lord Mayor was able to call on the advice of Mr Russell and Mr Mawhinney. 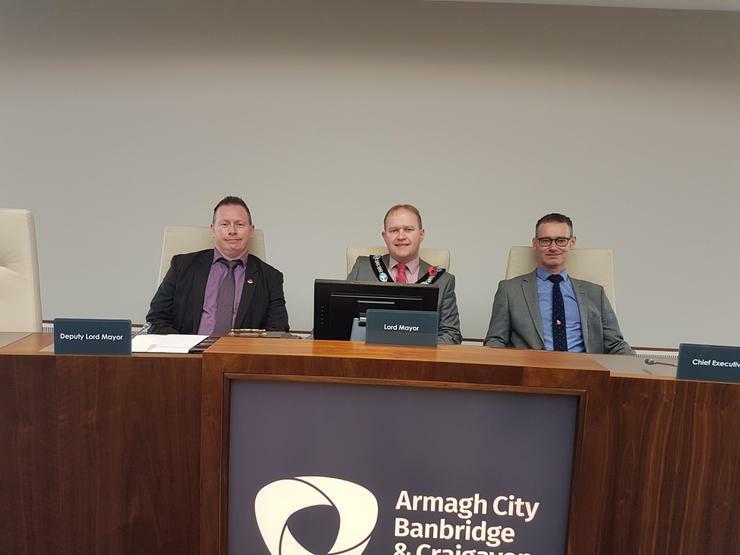 In attendance were Lord Mayor Wilson and Councillor Colin McCusker.